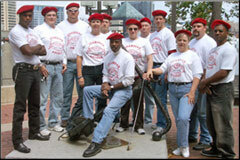 Welcome to the Baltimore chapter of the Guardian Angels website! 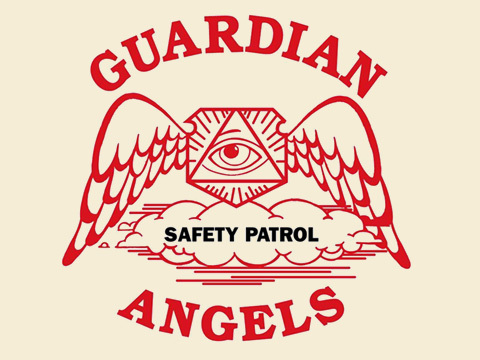 As a non-profit volunteer-driven organization, the Guardian Angels has helped provide security and support to communities in need for over 25 years. In cooperation with local police, community organizations, neighborhood watch groups, schools, and individuals, we hope to help build stronger and safer communities and to inspire positive change. Primarily we support communities through our neighborhood patrols and our education initiatives with children and families about violence prevention and safety awareness. We also strive to act as role models to youth and to motivate individuals to join together to transform their community into a better place. We believe that change happens from the ground up and, as such, we take our lead from those communities who contact us. Currently we are working at the request of two communities in Baltimore, and have received requests to meet with an additional nine Baltimore City communities and three counties. 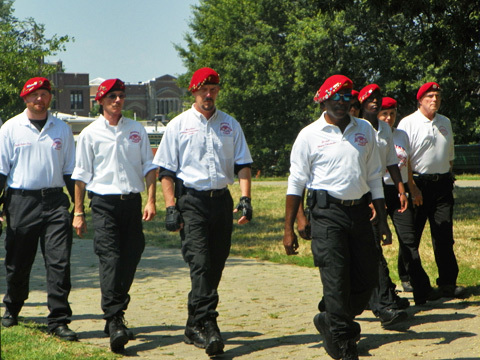 We are a dedicated group of individuals determined to help where requested, mentor when needed, and give hope while serving the city of Baltimore. Our work here has only just begun. But with the support of the Baltimore City Police Commissioner, as well as our partnership with the Police Community Relations Committee and several other community groups, we are confident and committed to our goals. Please check back here in the coming weeks for more information about our work in Baltimore City and how you can help. For those interested in serving with us or for those communities in need, please do not hesitate to Contact Us. And remember, together we truly can make a difference.